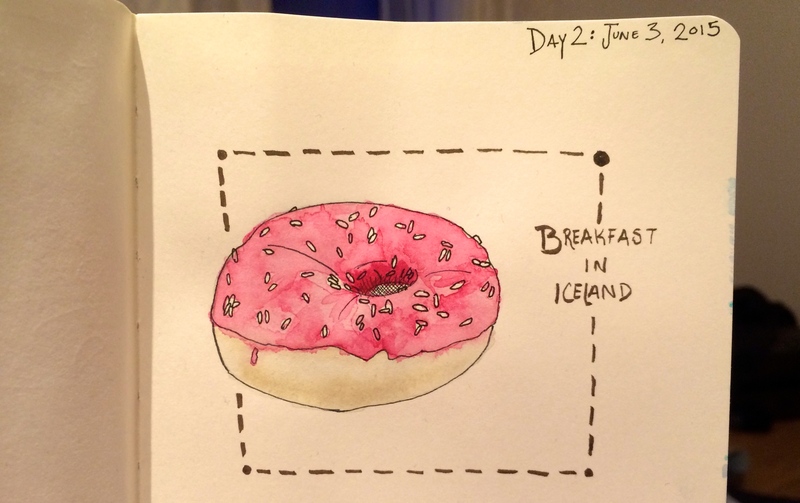 Iceland has surprisingly good donuts. In fact most of the food here is surprisingly good, considering their reputation for pickling everything. Below is a quick illustration of the donut I ate as part of a healthy breakfast. For dinner I managed to get the soup in a bread bowl that I’ve been craving since last September. Even though it’s 2am and the sun has yet to go down, I consider this day 1) over and 2) successful. Good night and good morning, world.